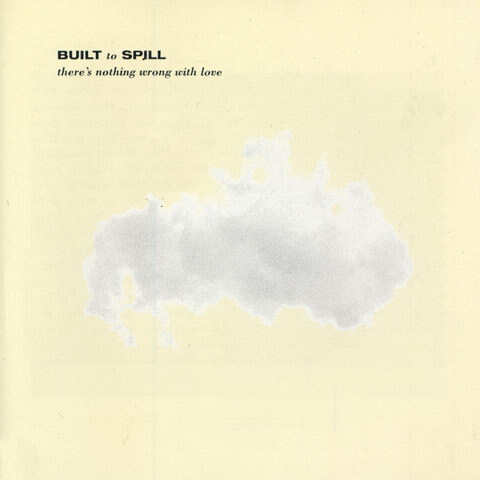 Built to Spill's classic 1994 album, There's Nothing Wrong With Love, is a lot of fans favorite album, what with ultimate alternative wavers like "In the Morning," "Distopian Dream Girl," "Big Dipper," "Twin Falls," and what is maybe the greatest hidden track ever ("Look for the record with ME on the cover!"). The vinyl has been out of print since the initial run was sold and used copies go for crazy money online. But good news, BTS vinyl-lovers, Up Records is repressing There's Nothing Wrong With Love wax on October 30. Pre-orders are up now and initials copies come on creme-colored vinyl. Unfortunately that reissue will not be out in time to hit Built to Spill's merch table when they play those four NYC shows this month.